The interface designs in analog synthesizers owe their lineage to switchboards created for the telephone industry to patch and transmit voices and signals. While traveling in Michigan's remote Upper Peninsula, a small town called Escanaba's Historical Museum drew me in. Within its quiet walls stood the town's telephone exchange. 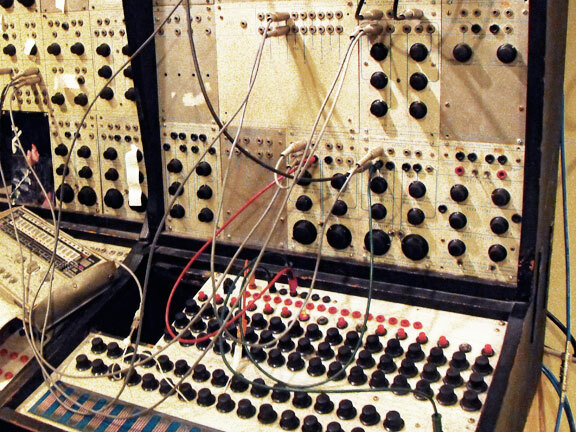 There, alone and in awe, I found that the elaborate banks of switches, rows of patch bays, and cloth cables bore a striking resemblance to the some of the first synthesizers which I had been recently experimenting with, such as the Buchla 100. 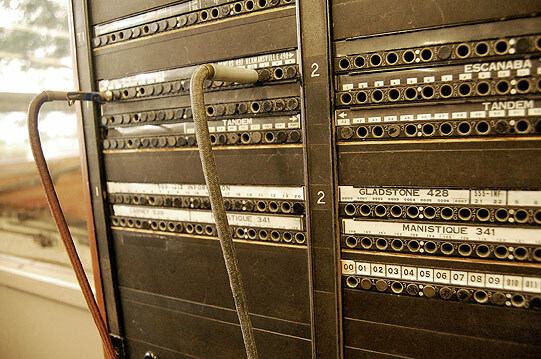 This moment sparked the desire to breathe new life into this long-silenced apparatus and explore where switchboard operation and musical synthesis overlap.